Fifty-five years ago, Honda entered uncharted waters when it released its first four-wheeled vehicle. 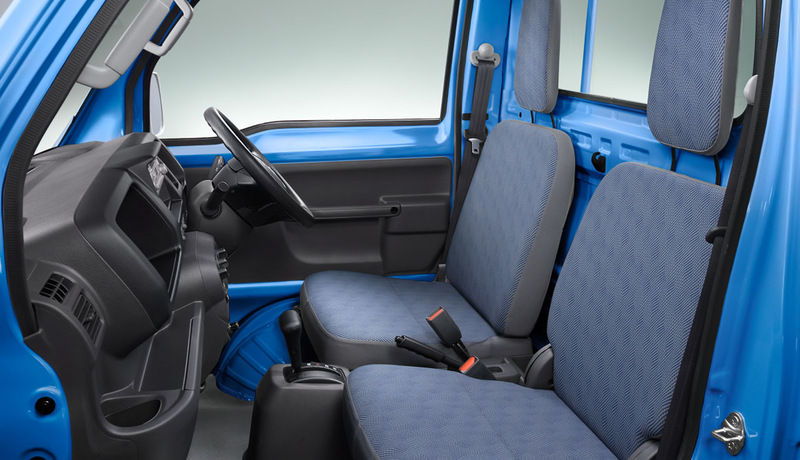 The T360 truck launched what was then primarily a motorcycle company into the realm of cars. 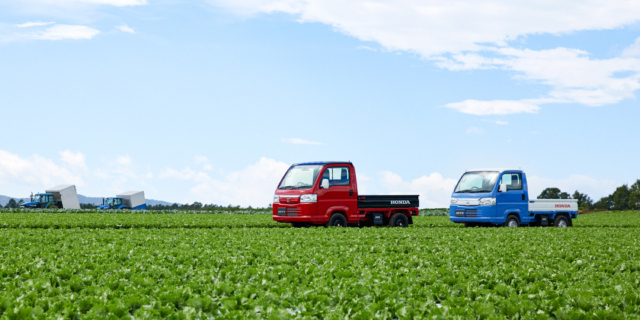 To commemorate this watershed moment, Honda has released a two Acty kei trucks in Japan. 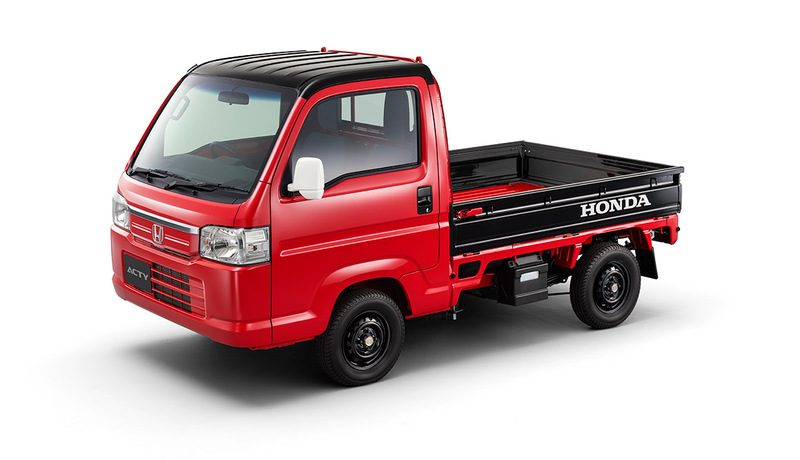 The Acty Spirit Color Style, as it is called, is based on Honda’s current 660cc kei pickup sold in Japan. As is standard with kei cars, the engine performance is limited. Transmission options include a 3AT or 5MT for the rear-wheel-drive version, but the four-wheel-drive comes only with a 5MT. 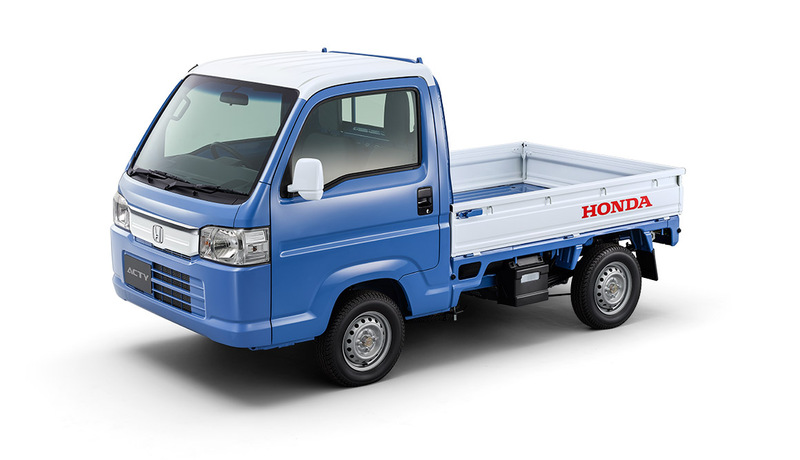 However, rather than the standard white or silver that commercial vehicles typically come from the factory in, the special edition is finished in one of two two-tone color schemes representing Honda’s pre-car history. The Bay Blue × White version was inspired by the original T360, which was offered in blue but came with a large white H on the hood. 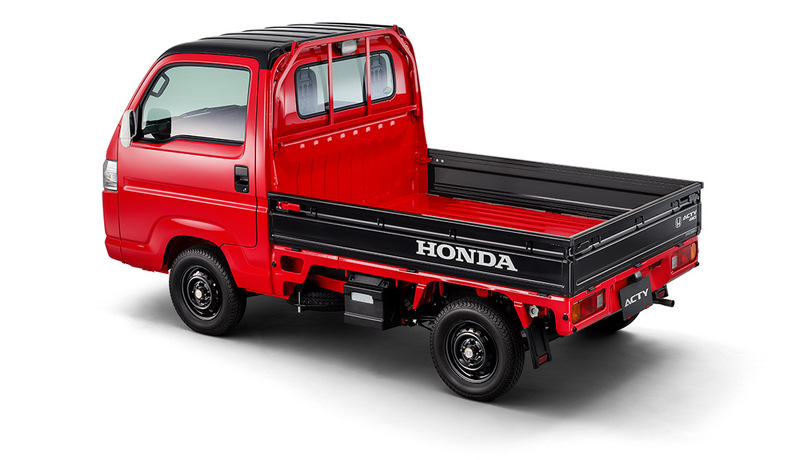 The Acty has a white roof, grille, and fold-down bed walls with a red “Honda” logo on the side. The second version was inspired by Honda’s line of agricultural products and generators. One of Honda’s earliest products was a tiller, a popular item with Japan’s farmers during the post-war recovery and one that predates the T360 by several years. The Flame Red × Black color scheme comes with a black roof, bed walls, and steel wheels. 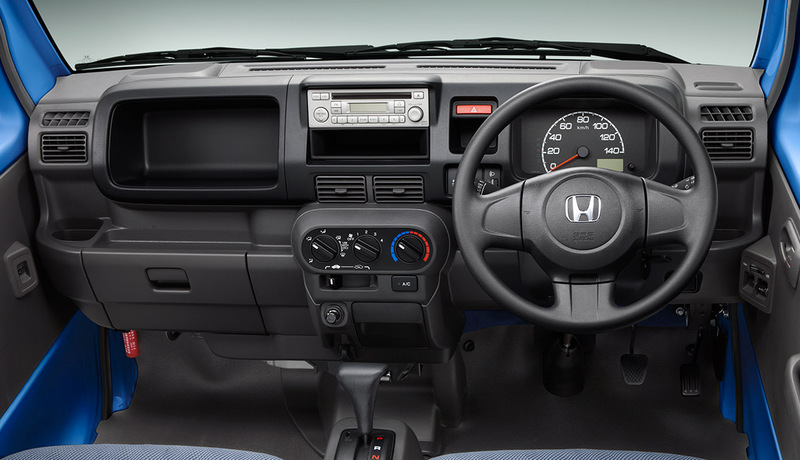 Both versions have white side mirrors as well. While not as distinctive in styling as the T360, the Acty is charming in its own way and the heritage colors only add to the otherwise plain-Jane pickups. 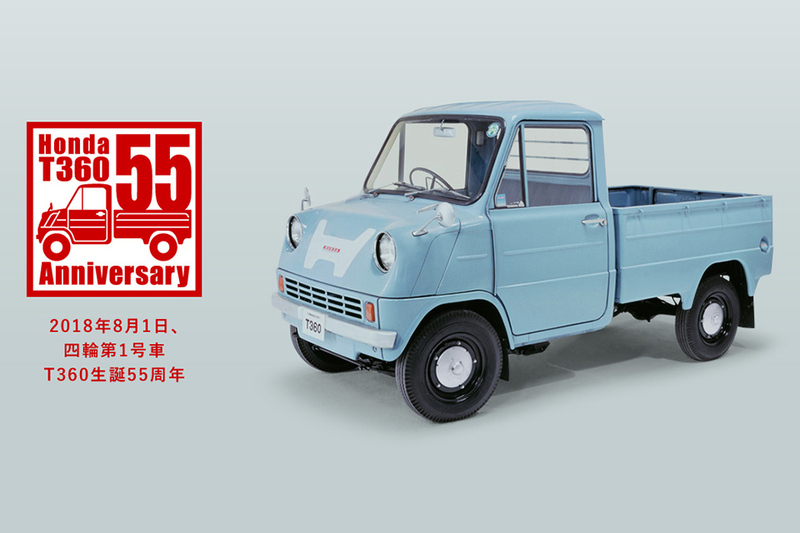 Since the T360, Honda has been building kei trucks non-stop for 55 consecutive years, and the commemorative models provide a nice nod to that history. Both are on sale now in Japan, with prices ranging from ¥1,135,080 to ¥1,264,680 ($9,995 to $11,150. USD). 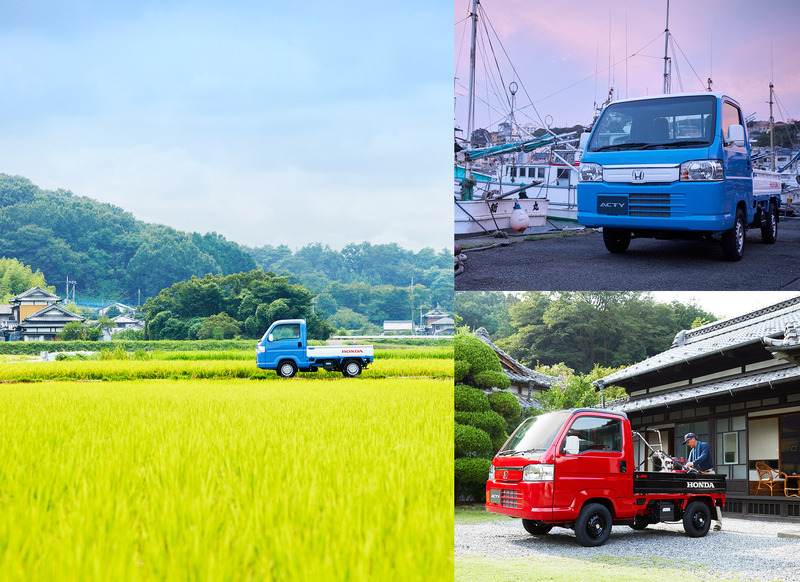 tagged: acty, honda, kei, t360, trucks. Wo Else do you need??? I forget also 2 Doors. A real sport car with honda badge. I’ll take one in flaming red and black. With a 5 speed and awd, if you please. 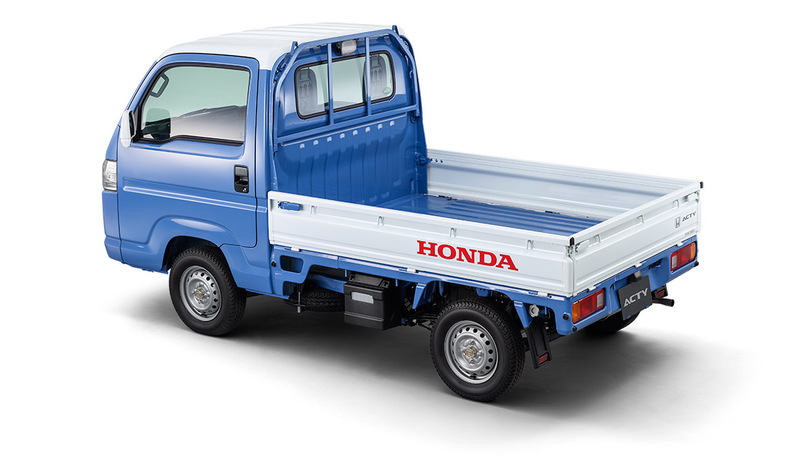 I think nearly all US states have loopholes that allow kei trucks. Someone needs to make a Ridgeline tribute version.